Dotonbori (also: Dotombori) in Osaka seen towards the west. The crowded and lively street was filled with teahouses (shibai-jaya), restaurants and theaters. 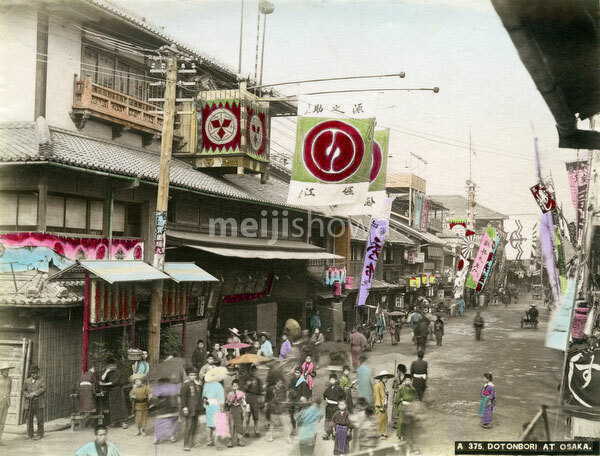 During the Meiji Period, the five main theaters were called the Dotonbori Goza. One of them was Asahiza, the building in the foreground with the yagura wooden stage.